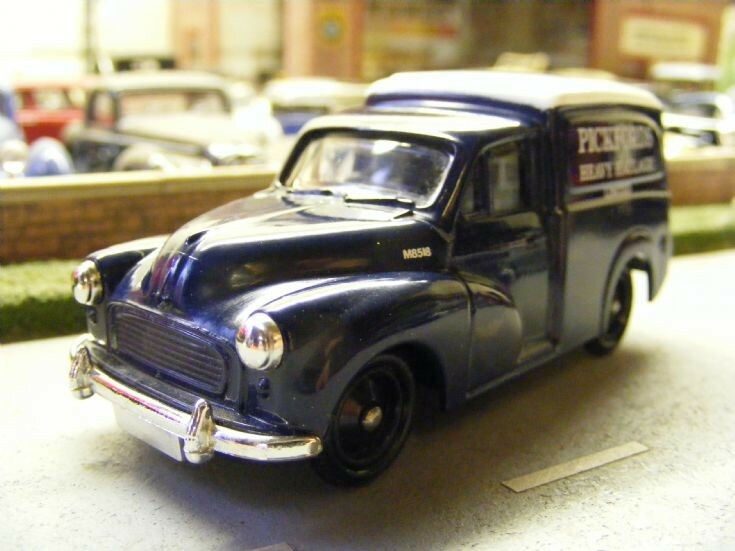 A job lot purchase has added a Lledo Days Gone 1:43rd scale model of a Morris Minor 1000 van in Pickfords Heavy Haulage livery. The very basic model is already undergoing an upgrade with new wheels, correct registration number for Lincolnshire. Additional paint detailing will improve the overall look bringing out the lights and grill.